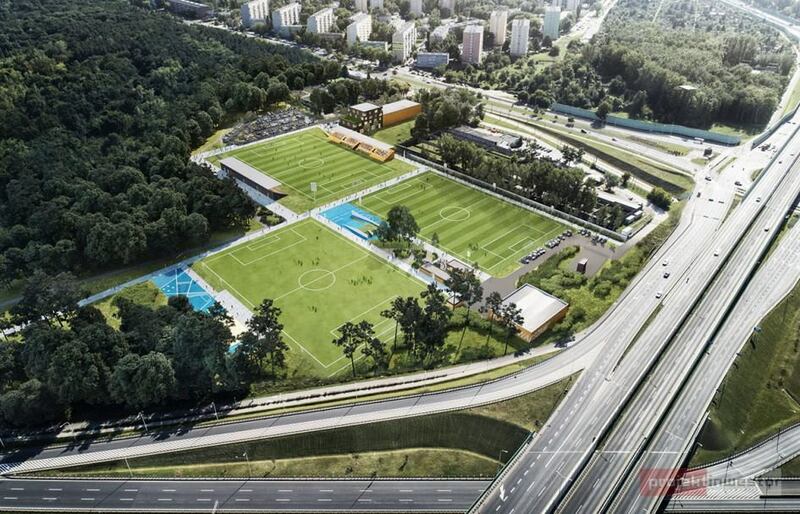 Overgrown by bushes and trees, the underinvested stadium of Warsaw's Hutnik is set for revival, expected to become one of the best sports complexes in the Polish capital. 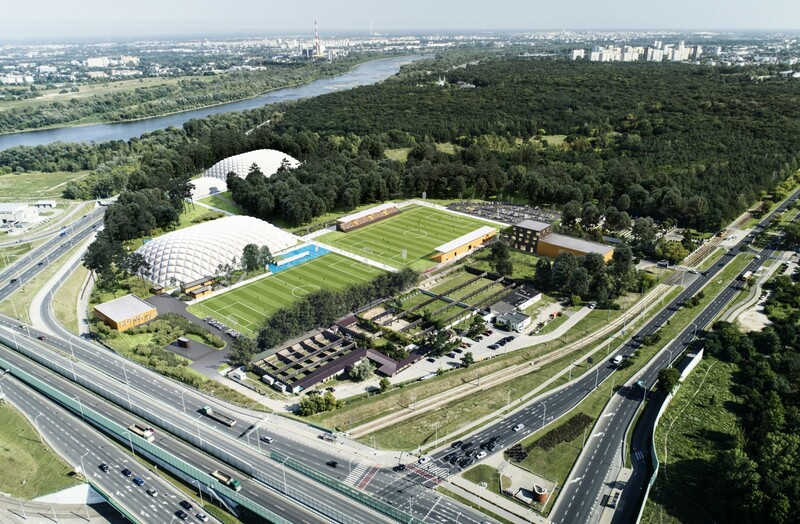 During the first phase, main stadium and team offices should be built, valued at PLN 16 million. 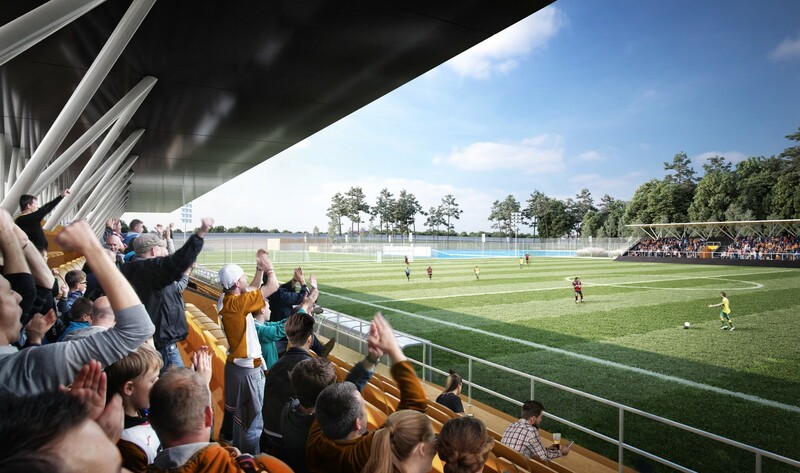 The stadium will lose its oval shape and running track in order to create a more compact, football-specific stadium for 1,200 people (two grandstands of 600 covered seats) with room for further expansion in the future. 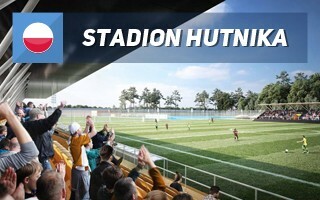 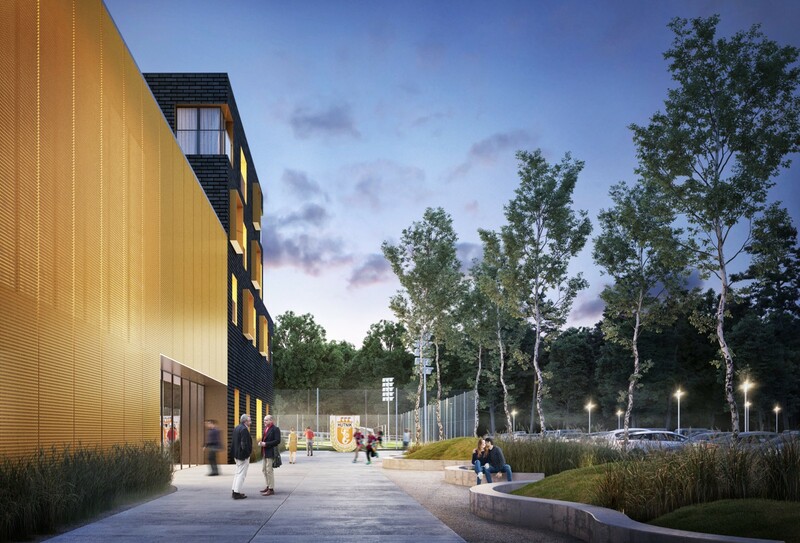 The simple venue will be kept, just as the main administration building next to it, in the orange and black colours of Hutnik. 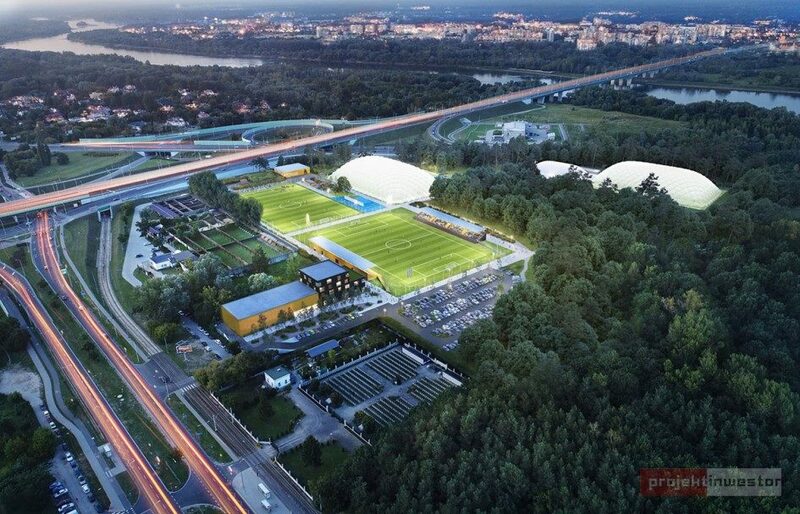 Beside the main stadium two full-size training fields are planned, one with natural and one with synthetic turf. 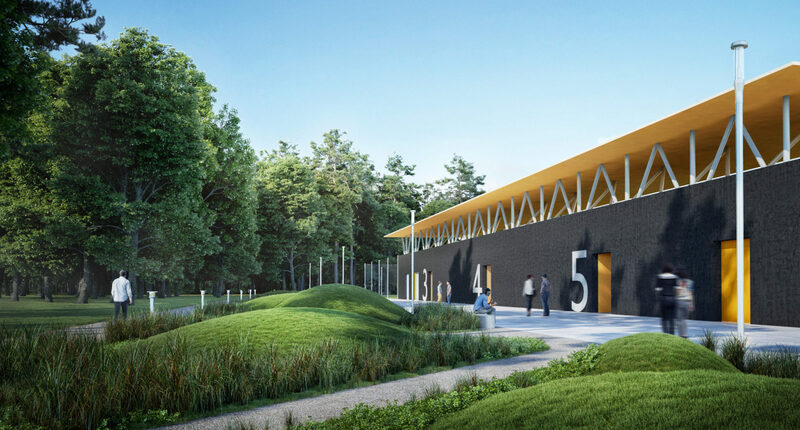 Both would be ready for weather-proofing by pneumatic domes.